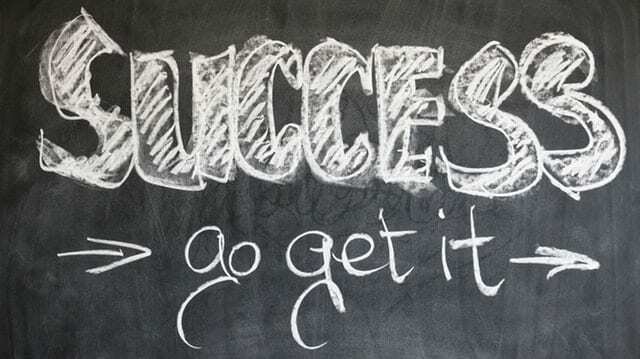 Do you want to be successful? Are you sick and tired of being broke, not having goals, not having a forward target? You can change this simply by starting today. You can make 2019 your best year. And I am going to give you a game plan to get started. Pick your Target: where do you want to end up? Success starts with finding a target to aim at. Find where you want to go, where you want to be. Get specific. Write it down. It can and should be a long term target. Then, work backwards down the list. You can actually have several targets or mile stones. You have the long term goal, then you have these mile stones you hit on the journey there. After you have worked your way all the way back, you now are in the present. What is your current status? Go over everything, from Employment to education, your skills, income, debt situation, etc. The idea here is to get a real assessment of the current situation. You just got done drafting the finish line; now we need to know what you look like at the starting line. Draft a financial statement. Have you never done that? Great, you can start now. This is a very valuable tool and something that you will use regularly once you become successful. Then you write out all of your debts, everything from student loans, to the debt you owe on your house, to the debt you owe on your car, credit cards, etc. Take the assets and subtract the liabilities, and you have your net worth. Your goal now is to increase the networth. As Robert Kiyosaki says, credit scores and credit reports are for poor people; wealthy people rely on their Financial Statements when making deals or borrowing money. Now that you have a target, you’ve outlined the journey with milestones along the way, you’ve assessed the starting point, it is now time to zoom in and make micro goals and take the initial steps. Your long term plan should involve acquiring a number of hard assets which will generate passive cash flow, which will relieve you of having to work later in life. That is the target, broadly speaking (your target should be similar but much more specific). How do you get there? Well, first you are going to need to generate some money. You need income both to live and also to stash away so that you have money to throw at opportunities to make more money, so that you can take the big money and buy hard assets that generate safe and steady returns. You’ve worked your way back to the starting point, so let’s take a look and make some calls on where to go next. Is your plan to work the current job and pick up a second job? This will allow you to double your income or come close. The initial step then is to look for a second job to compliments your first/primary job, both in schedules and in skill set. The best path is working more hours at the current job as opposed to something completely different and completely new. Is your plan to work the current job, and obtain additional education, which will allow you to take on a higher-paying job later? Write out your initial steps on how to make this happen, such as submitting the application to the school, etc. Figure out what are you first steps and then get to action. The goal is to obtain hard assets. But the first asset you have is yourself. Invest in yourself with education, skills, and cleaning up any type of public record which can prevent you from getting opportunities in the future. Do you have a criminal record, or a criminal past? If that is the case, then you should consult with an attorney who specializes in expungements. There are laws in most states around the country which allow you to erase old convictions or arrests. Oklahoma has recently expanded the eligibility for expungements, and now with these new changes, even convicted felons can get an expungement. And this is not just about employers, but once you move beyond that and you are meeting with investors and future partners, you deserve to not have to explain your past; if you’ve moved beyond your criminal past, then take the first step of erasing it by getting it legally expunged. Travis Charles Smith is an attorney in Oklahoma City who helps his clients get a fresh start by expunging their criminal arrest records.